Human Facets® was founded in 1985 and is an International Organizational Consulting firm specializing in global inclusion and diversity. Our expertise in the field of organizational development and global Inclusion ensures that our clients will receive not only a depth and breadth of knowledge and expertise, but also a fully customized solution to whatever challenges they face. We have helped a number of our clients to design and develop award-winning diversity strategies and our knowledge and proficiency makes a major contribution to ensuring that client organizations move forward with their strategic direction in a manner that makes a positive impact on the bottom line of the business. The founder and CEO of Human Facets®, Dr. Helen Turnbull, is an internationally recognized expert in global inclusion and helping organizations to remove the glass walls that are inhibitors to productivity. Dr. Turnbull is a world recognized Thought Leader in global inclusion and diversity. Her PhD dissertation research was on stereotype threat and internalized oppression across cultures and she has a deep knowledge and understanding of what it takes to create an inclusive environment. In May 2013 she spoke at TEDx on “The Illusion of Inclusion” and has recently developed a new model on the complexity of embedding an inclusive workplace culture. She keynotes on these topics globally and has spoken to senior executives in Australia, Asia, Europe, UK and the USA. Her client list includes Texas Instruments, Raytheon, J.P. Morgan Chase, Aetna Insurance, Motorola, Hewlett Packard, AT & T, Lucent Technologies, IBM, and Citigroup Europe. She has also worked in Australia with multiple corporations, including Commonwealth Bank, National Australia Bank, Ernst & Young, Reserve Bank of Australia, Price Waterhouse Cooper, Westpac, Grain Corp, QBE Insurance, Australian Department of Defence, and many others on Unconscious Bias and its impact on diversity and inclusion. Dr. Turnbull has Award winning clients and has made major contributions in assisting Texas Instruments to win the Catalyst Award and was instrumental in developing programs for both J. P. Morgan Chase and Citigroup Europe that won the prestigious Opportunity Now Award and Business in the Community Awards. Commonwealth Bank of Australia also won the 2012 Catalyst Award attributing the win in part to Cognizant, an Unconscious Bias tool developed by Dr. Turnbull. She is a member of a number of professional societies, including Academy of Management, American Psychological Association, American Sociological Association and American Society for Phenomenology; The Neuro-Science Institute for Leaders and the OD Network. 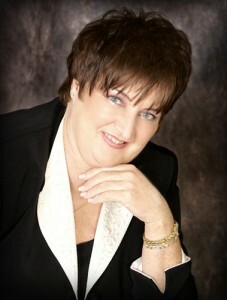 In 2009 she won the “Distinguished Research Award” for a journal article – “Diversity & Inclusion: Developing an Instrument for the identification of Skills deficiencies” published in the Academy of Strategic Management Journal and is also published in the Organizational Culture, Communications and Conflict Journal and the Reflective Practioner Journal. 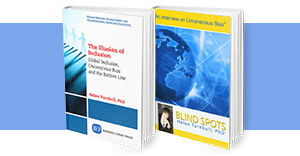 Her latest book is “Blind spots: A conversation with Dr. Turnbull about Unconscious Bias”. She is also a CSP (Certified Speaking Professional) member of the National Speakers Association, and The Global Speakers Network and an accomplished keynote speaker, particularly in the area of Unconscious Bias and Inclusion. Learn more about Human Facets’® International Consulting Associates.